After B-School, I doubled the revenue for our Cut Flower Farm. Next year I expect to reach 6 figures. I've also kept my business debt free which has me filled with great pride and relief. 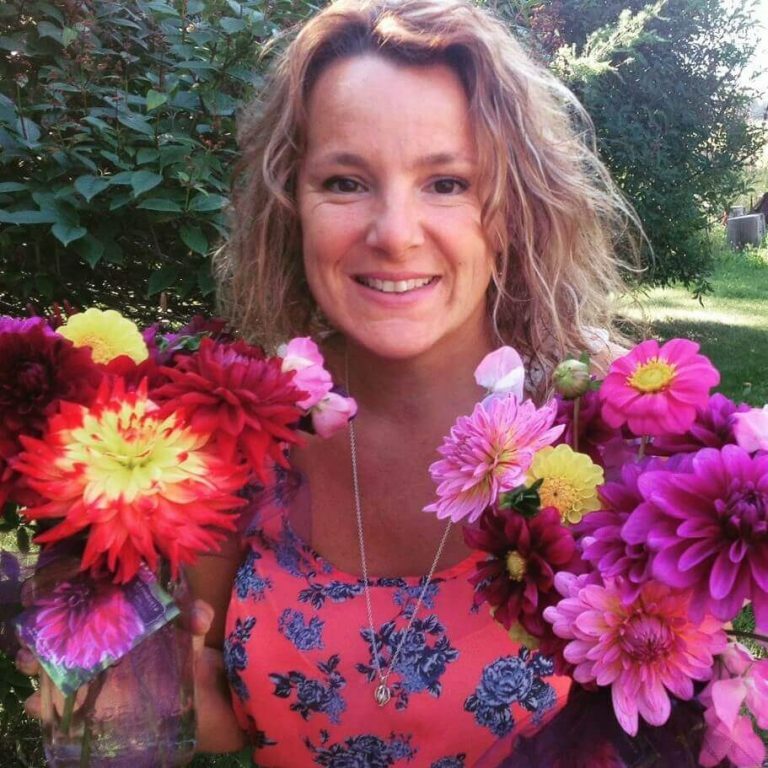 I use everything I’ve learned in B-School starting up my very own Cut Flower Farm, All Dahlia’d Up where I grow mainly dahlias – in Alaska I might add. Our mission is to “Bloom and Share the Miracle and Vibrancy of Life one Flower at a time.” What started as a dream I’d do “after” I made it big has become a profitable thriving business. Before B-School I bounced around from one online business to the next trying to find that one business that I could help other plus fill my heart and my bank account at the same time. When my son passed away from his debilitating disease, Duchenne Muscular Dystrophy, in January of 2013 at the age of 21, I was left with a gaping whole in me wondering how I’d survive, but I had made him a promise I would find a way to thrive through tears anyway. That’s when I decided I jump into B-School in 2014. I actually wanted to get into grief coaching and I’d do my Flower Farm on the side. So I thought. When I sold my first bouquet I was hooked! Seeing the customer’s face light up or a bride with tears telling you her flowers are JUST what she envisioned. Further growing Dahlias fills my heart as my son had given me my first dahlia plant to grow when he was in kindergarten. They are also way for me to show my love for him and to share him with the world. Dahlias are my grief elixir. 2014 was my first season and I actually profited a little over $2000.00. Which isn’t too bad since we only have a growing season of about three months. The next season we pretty much doubled that. And this next year I expect to reach 6 figures as I’ve added an engagement photo and wedding destination venue. I’ve also managed to keep my business debt free which has me filled with great pride and relief. B-School has basically given me a road map and helped me get crystal clear on my why – including what kind a business and lifestyle I really want.